STAR TREK CONTINUES NEWS: Thanks for Your Support! 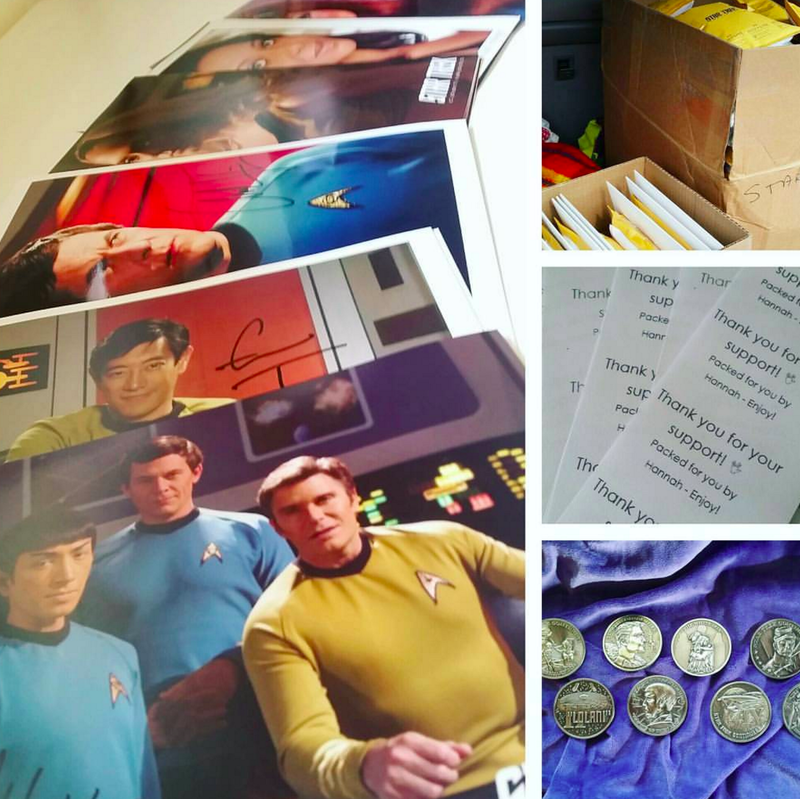 Except for the signed STAR TREK CONTINUES Cast Photo (which will ship in September), all of the “physical” perks from the most recent crowdfunding campaign are en route. The last batch of items ship in early August, followed by the Cast Photo. All “digital” rewards have also been fulfilled. Your support helps us finish the work we’ve started, and we appreciate the financial contributions and encouragement to keep STAR TREK CONTINUES going. After carefully reading this blog posting, am I correct in assuming you all are planning on ending STC? I know all good things must end but so soon? You're doing such fine work, still in "your prime". Please postpone any ending of STC! Great show. Really amazed at how authentic and well crafted this '4th' season of the original series is. Though unofficial, it's earned my respect and has been a ton of fun to watch. This looks great for a homegrown but I'm really struggling to understand why it isn't in 16:9 widescreen. You gone to all this effort to bring the original Star Trek authenticity into the 21st century yet you've used a format that is not suited to modern TV sets and thus we cannot get the full experience. It really spoils it for me and I cannot see any reason why you would do it. No network is ever going to sign a TV series that is filmed in 4:3. Madly in love with all your efforts.. I wish I could have made the Trek to Vegas for the 50th.. I support all you do towards Gene's ideals for StarTrek.. Long live the Federation.. and Live Long and Prosper..
Wow! I actually get a tingle down my spine each time I watch one of your episodes! Also you guys have done an excellent job of recapturing the magic of the original series. Excellent acting and visual effects as well. I hope that you will create many new stories! I absolutely love the series. best star trek series since the original. Whats this i Hear youre ending it? WHY WHY WHY???? KAAAAAAAAAAHHN!!!! Certainly hope that you will produce more episodes in the near future. Just discovered your excellent work and am sharing with fellow trekkers who will also spread the word of these fine efforts of everyone involved.